Dies R Us: Wishing you a fantastic day! Mikha is here, back to share a card for you today!! Don't forget to pay visit to the Dies R Us Store, because we're having tons of dies! 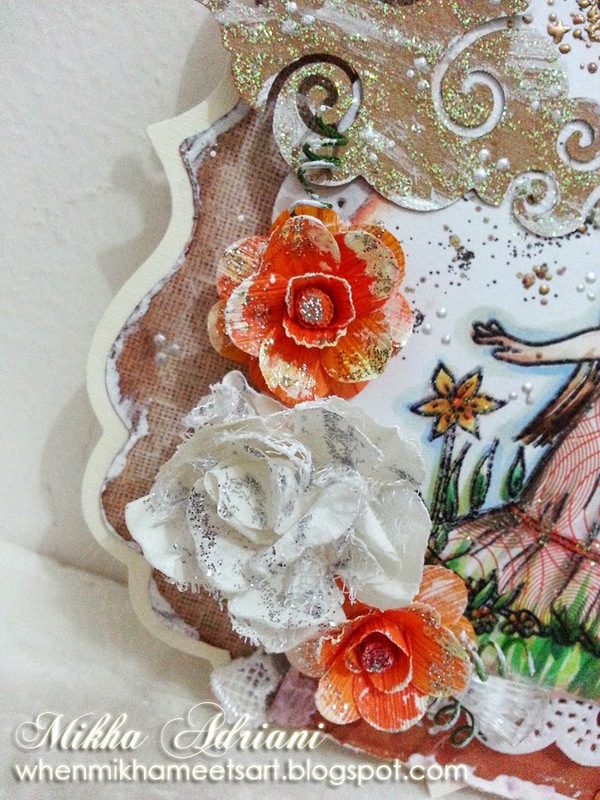 And then I used Spellbinders Labels One as the base of image. Also used Taylored Expression - Swirly Clouds. I coloured her using Copic. 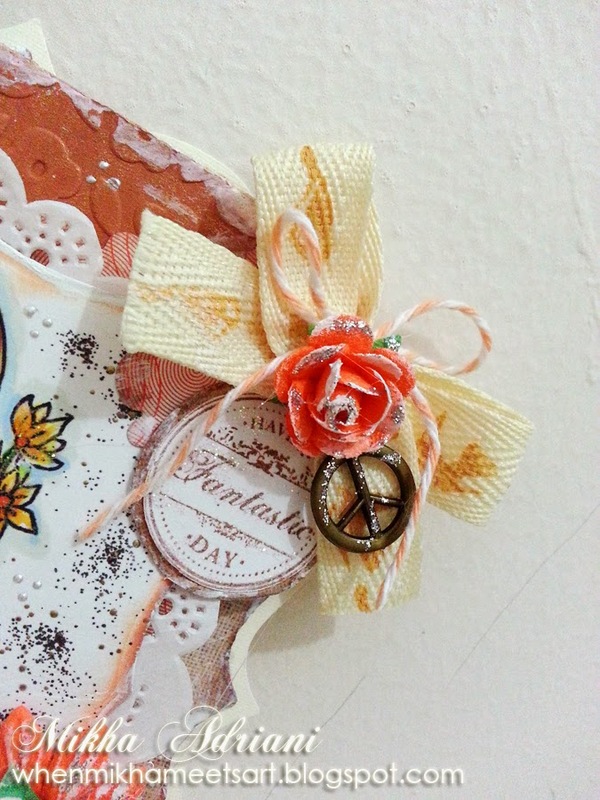 Actually I put Magnolia Doohickey - Cloudy Tag here, but of course, you couldn't see it because of the bow, LOL. 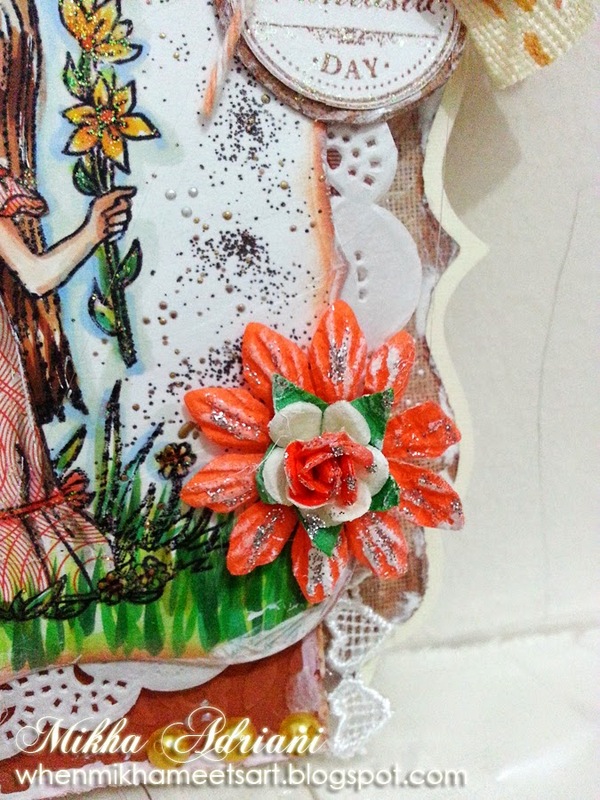 Just simply put flowers, doily, frantage and also pearls. great colour pallet & darling image! 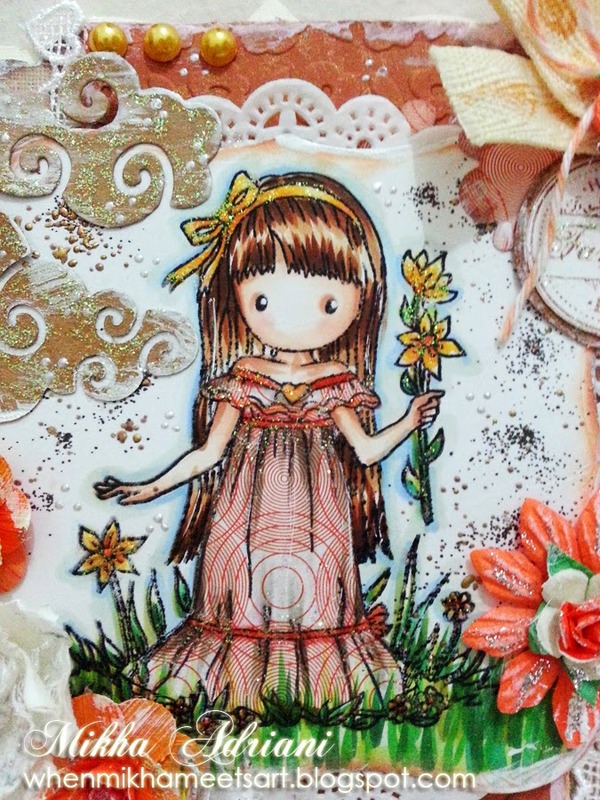 So pretty with sweet image and gorgeous flowers! 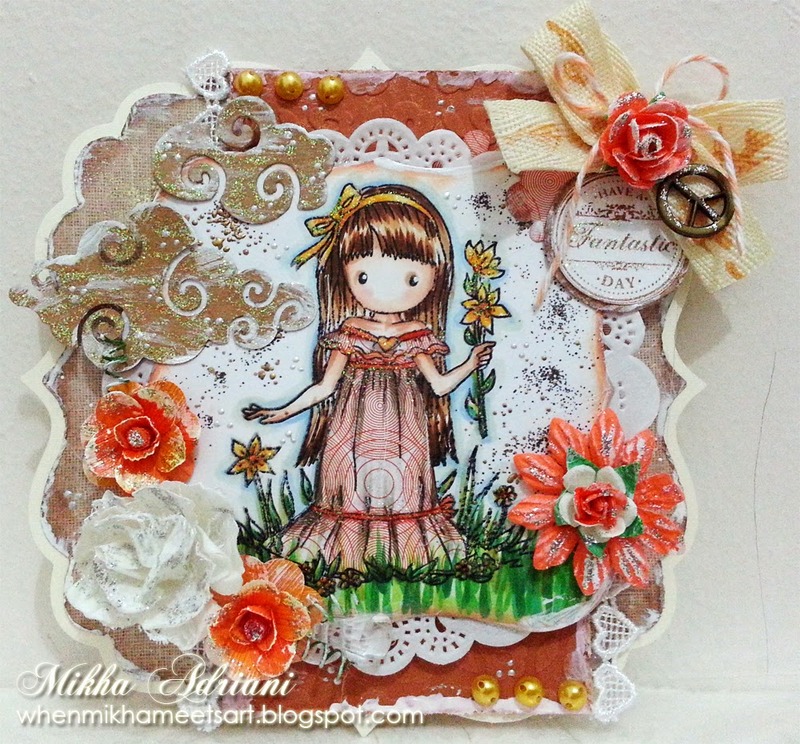 Super cute card Mikha! Love your colors!